These cables will plug into the Super Zapper Deluxe 2006 and connect to wristbands, insoles and gel pads. These cables are for use with the Super Zapper Deluxe 2006, which has now been replaced with the advanced VariZapper. 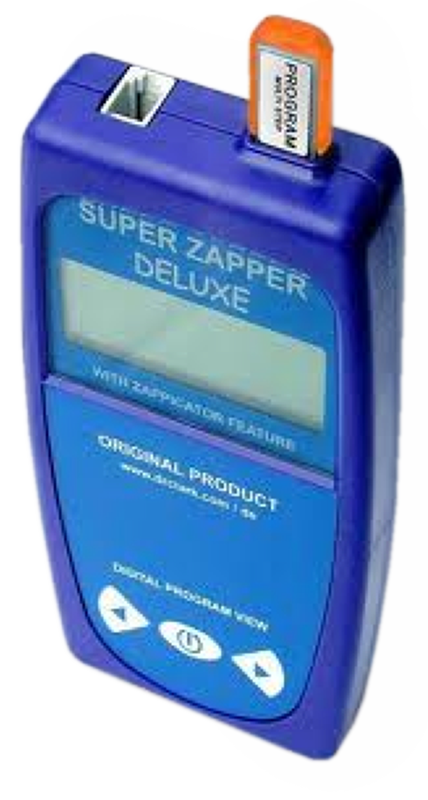 The Super Zapper Deluxe cables plug into the top of the device (please see image below) and can be connected to wristbands, gel pads and slippers. Please Note: the device shown below is not included.